This research proves that we can successfully and permanently lose weight, and recover from serious life-threatening illnesses; like cardio-vascular disease, diabetes, high cholesterol, chronic fatigue, low thyroid and depression..
Thirty-eight participants, from a variety of countries from around the world gathered in Tiruvanamali, India ; October 2012, to experience THE SAMYAMA, an ancient Vedic practice that has been awakened by living Avatar, Paramahamsa Nithyananda. Participants drank only liquids: thin juice, diluted buttermilk and clear soup.Quantities varied from person to person. For the 21 day period, participants were busy working on projects, and engaged in an out-door work project that included physical labor. Every evening for 21 days, all participants received Initiation by ‘touch’ during the “Darshan” from Paramahamsa Nithyananda. This is an ancient Vedic technique to transfer energy from a higher energetic source to a lower one. This most unique combination of clinical findings is leading the scientific community to look at the possibilities of medical miracles. 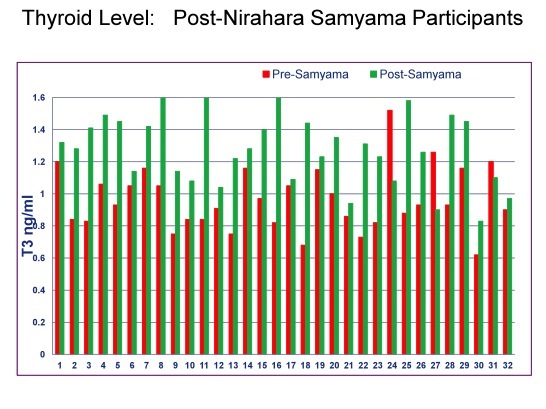 Further research is needed for replication, however; these data are still pouring in from ongoing THE Samyama courses. 80% of the participants experienced huge gains in Vitamin B12. Energy levels soared. Vitamin B-12 is the vitamin that is involved in the metabolism of every cell in the body, especially affecting DNA synthesis and function. Without ample amounts of this vitamin, we can experience irreversible damage to the brain, increasing the risk of Dementia, and Alzheimer’s Disease. It also plays a key role in the prevention of heart disease, because of its ability to lower homocysteine levels. Vitamin B12 can not be produced by plants, fungi or animals. It is acquired by eating animal derived foods like meat and eggs. Yet the Niraharis had massive increases in this LIFE giving Vitamin by only drinking veg-based fluids. HOW??? Nirahari’s have awakened the body’s natural ability to use the direct energy in the environment to nourish and revitalize every cell in the body. 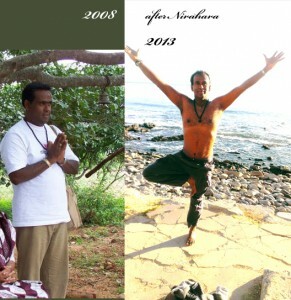 This natural ability has been lost over time, but with the awakening of each Samyama participant, through direct multiple contacts with Enlightened Master Nithyananda, the Nirahari bodies literally re-formed themselves into performing at peak level and started emulating the physiology of an enlightened being. It is simply a matter of picking up the Master’s bio-memory. 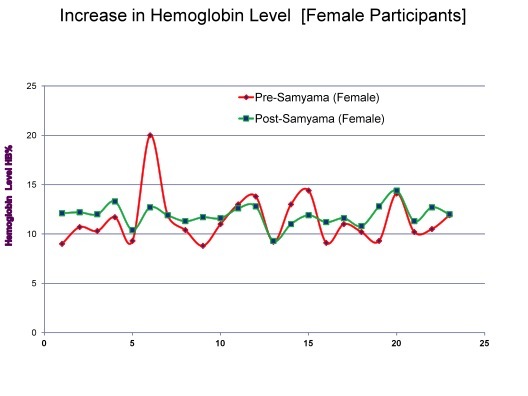 Total Cholesterol levels reduced to normal levels in 85% of the participants in just 21 days! HDL (good cholesterol levels) gained by 45%. 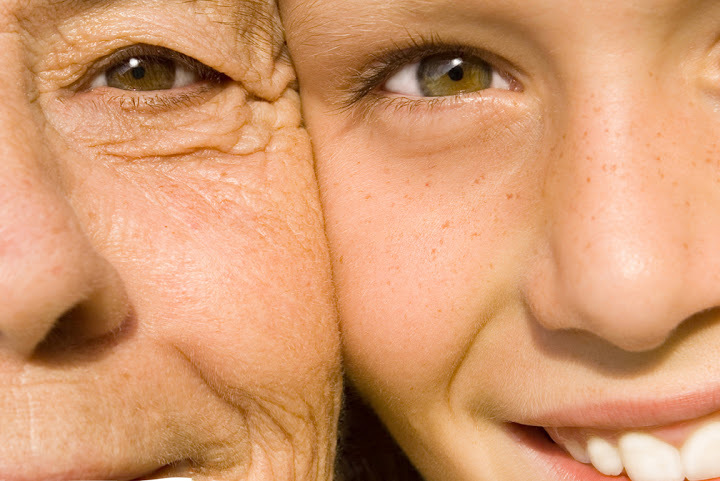 Even post-menopausal women gained in good cholesterol. Menopausal women do not produce estrogen. Normally estrogen is needed for HDL to elevate. Yet HDL was boosted and LDL(bad cholesterol) lowered by 82% in just 21 days. Vitamin D levels rose 100% in all participants. High levels of Vitamin D leads to reversal of aging, heightened immune function, and promotion of calcium absorption. This reduces the risk of osteoporosis and fractures. 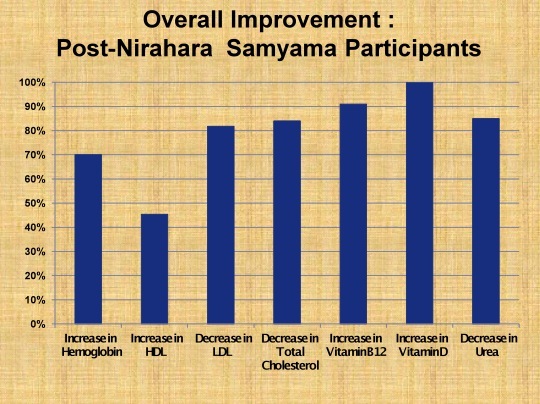 Implication: NIRAHARA SAMYAMA can reduce high cholesterol levels in a very short time, and boost immunity for a longer life, and strong bones! 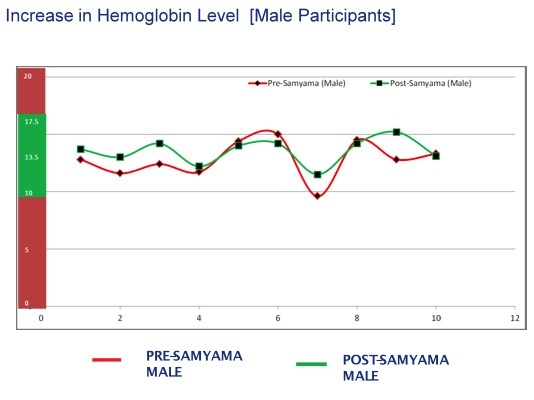 Hemoglobin of male and female participants combined rose 70%. Hemoglobin is essential in producing red blood cells which carry oxygen and provides us with vital energy. Implication: Oxygen rich blood means life force is strong in the body. Carbon Dioxide is easily transported out of the body with good Hemoglobin levels; so the body is iron-rich and the blood can fight off infection easily and effortlessly. 85% decrease in UREA indicates that the Niraharis’ bodies were self-cleaning the toxins and organic waste materials from the body. 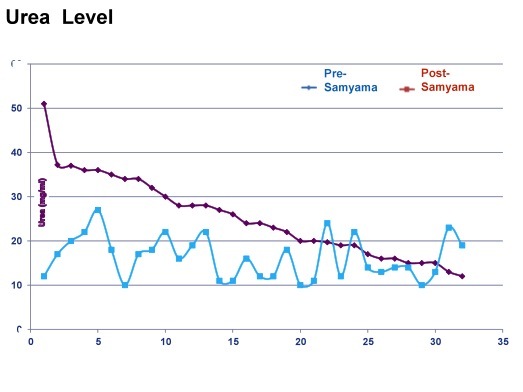 The process of The Samyama makes the kidneys more functional. Implications: This added boost in cleaning the toxins from the body is especially applicable in people with high blood pressure and diabetes. 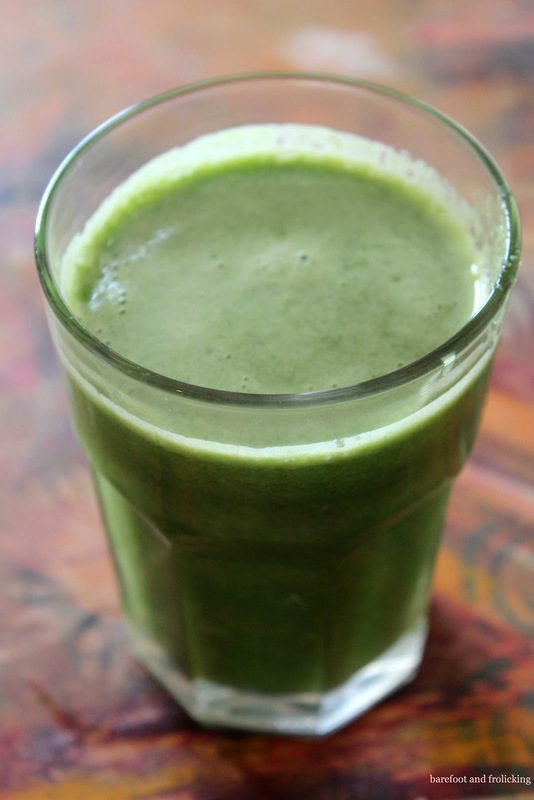 This cleaning is beneficial because of the potential damage to the kidneys. If Urea is not cleaned from the system, the body is basically a walking trash can; inviting disease. Thyroid functions improved drastically, altering the levels of TSH. (Thyriod Stimulating Hormone). T3 levels showed an increase of 33%.These thyroid hormones are responsible for metabolism and raise the mitochondrial energy supply and reduce the risk of obesity. 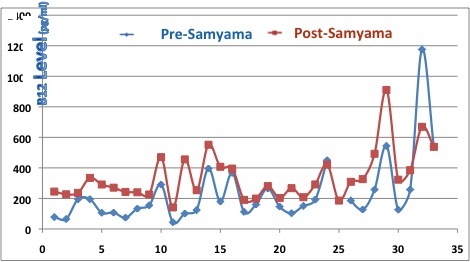 The post Samyama fasting levels were much higher in most of the participants. 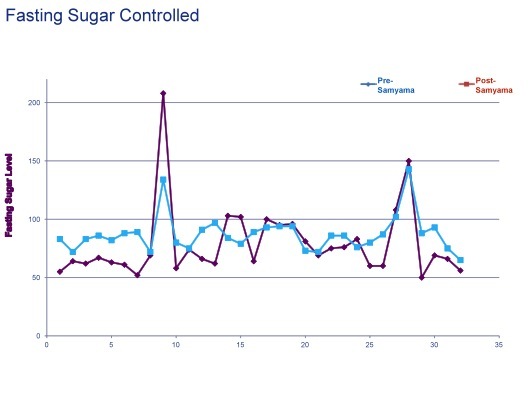 The implication here is that their bodies were triggered into manufacturing glucose naturally after THE Samyama, without eating solid food, so their bodies experienced reduced cravings and food addiction. All our lives, many of us have battled with our weight…regardless of special diets, expensive weight loss programs, and personal trainers; yet real solutions are hard to come by. A life of endlessly searching and constantly suffering has been the reality for so many….until this astounding new research has provided the solution… the key to permanent weight loss… the science of Nirahari. Science tells us that fat cells shrink when we lose weight, then expand again when we re-gain weight. What we don’t do is re-move the recorded messages in our cells. Messages from our past…emotional messages of low self-esteem, depression and fear pollute our fat cells! Abusive self-talk like “you’re a failure, “you can’t win for loosing” and years of listening to the emotional abuse of parents, siblings, bosses gets planted in our fat cells. 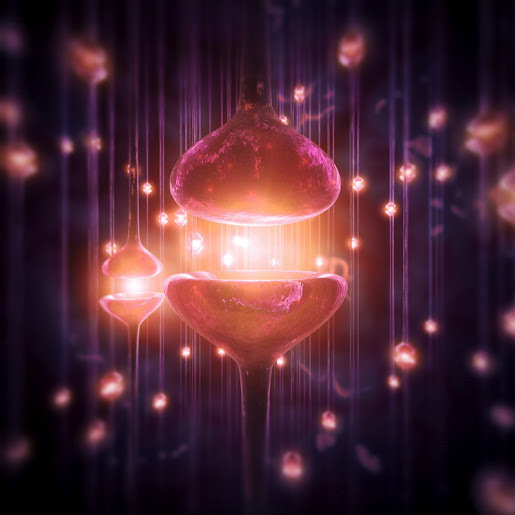 We record our self-inflicted abuse in our bio-memory, In the DNA, the building blocks for Dis-ease or Health every cell in our body has a tiny built-in tape-recorder. In Nirahara Samyama, fat cells are vacuumed out…all the debris/trash is gone for good! Weight loss programs are external, Nirahara is internal. 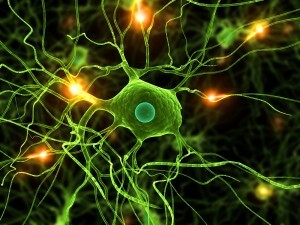 It removes the root pattern of the body’s imbalance deep in the bio-memory. 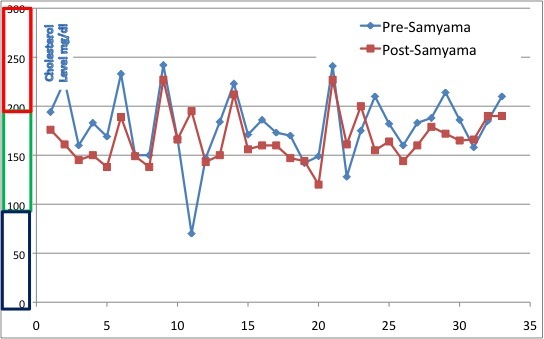 These data from THE Samyama, demonstrates the miracle of fat cell re-programming and the side effects which include: normalized cholesterol levels, stabilized blood sugar, and optimal immune system functioning. 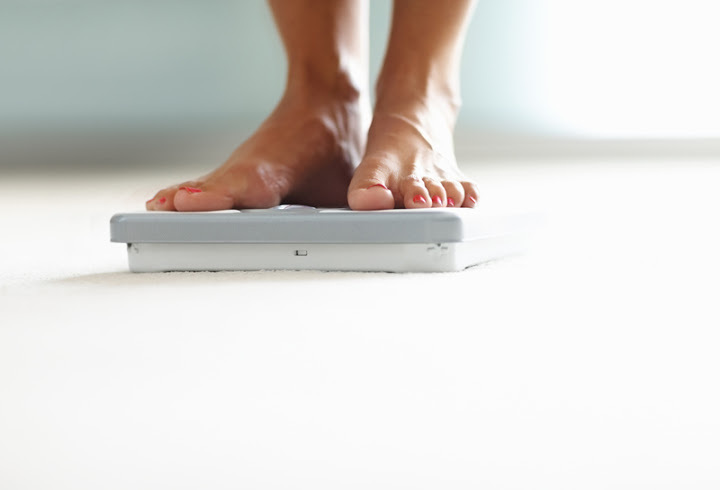 Millions of dollars are spent every year on weight loss, yet the weight is never gone for good. The depression returns, the emotional eating re-starts and the risk of Cardio-vascular disease sky rockets! It’s time for a wake-up call for a permanent healthy body weight, and the bonus of perfect health! Swami Nithyananda states: “the basic destructive food pattern is removed, emotional patterns are broken, fear, greed, attention patterns vanish.” Nithyananda indicates that the body is literally created by the mind. So when the psychological root patterns are broken, our bodies can be re-manufactured, restored to perfect health. Further research is warranted for Nirahara Samyama; the implications of this panacea for so many common modern diseases are mind-boggling. 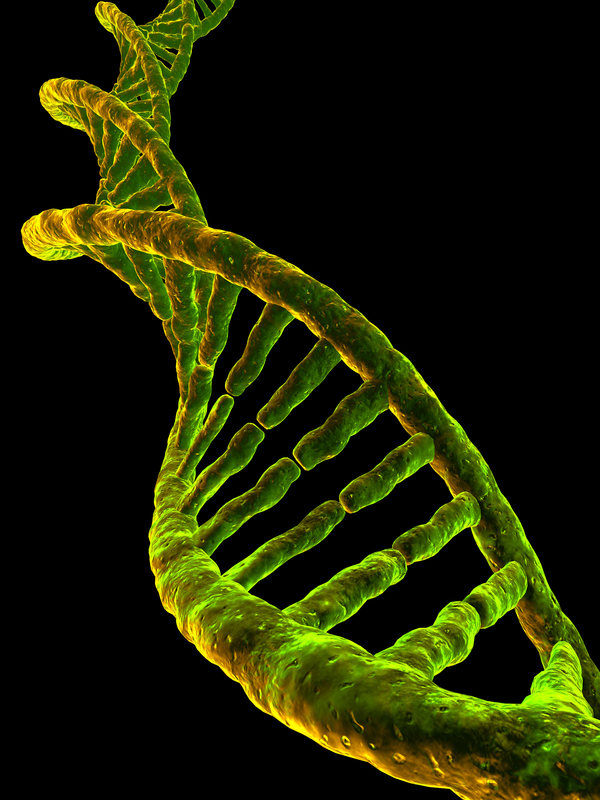 Implications for the future research include: the examination of the DNA structure. Are Niraharis a new life form? How are so many vitamins and minerals produced in the body with no external input? Do these effects last over time? Are they replicable? 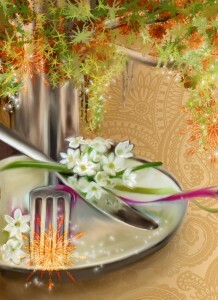 What is happening during “Darshan,” the mystical transmission from Guru to disciple, the “space where miracles happen”. People are walking out of serious illnesses, experiencing higher states of consciousness, and a genuine reversal of aging is becoming commonplace. The doors are opening allowing people to literally create their own bodies, a true ownership of human life. 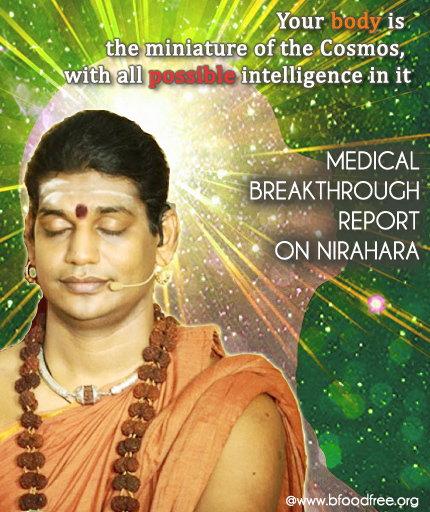 The Nirahara science is being revealed by an enlightened avatar from India, Paramahamsa Nithyananda. Nithyananda has re-vived THE Samyama an ancient science to re-program the biological blueprint of a human, and erase the destructive memories on a cellular level. Nithyananda states that “the purpose of THE Samyama is to explore one’s greatest possibilities both mentally and physically; to transform one’s bio-memory from dis-ease to perfect health, and perfect weight”. 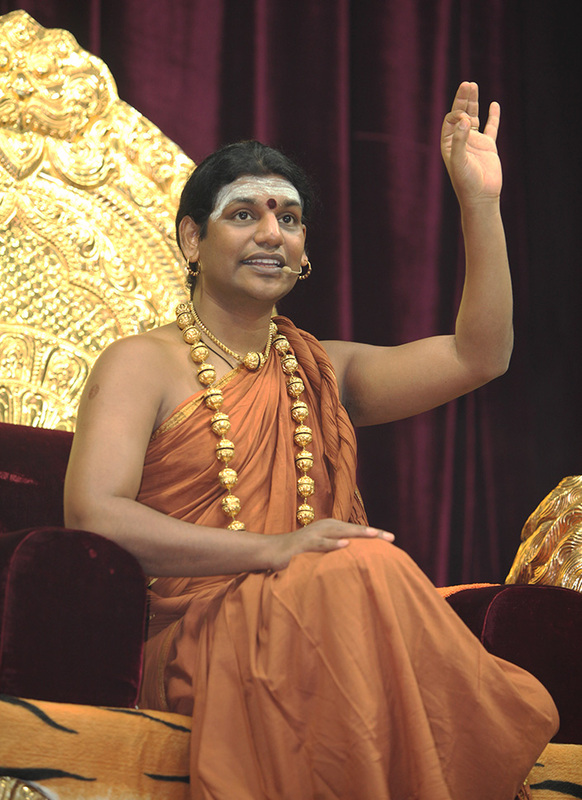 Nithyananda indicates that we unknowingly authorize our destructive cellular patterns of the past to rule the future. This is our down-fall. The key to health, happiness, and a perfect weight is the same key: Establish cellular alignment. Dis-ease is a thing of the past, a painful serious mistake that can be corrected in just 21 days of Nirhara Samyama. Watch videos of people sharing stories of amazing recoveries in these areas. Kathy, a nurse from Ohio, USA who had suffered from Diabetes for 20 years, recovered totally in 21 days!! Debbie, a school principal, from North Carolina, USA. experienced a normal cholesterol reading for the first time in 25 years! 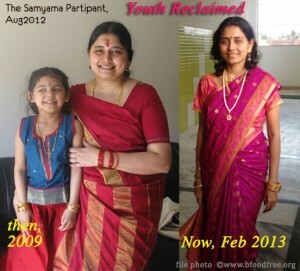 Rukmini (Mom) and Sai Durga , (18 year-old daughter) from Chennai,India:Rukmini recovered from High Blood-Pressure and low pulse rate.Sai Durga stopped emotional eating, a pattern she states is an epidemic among Indian youth today. All participants reported that their food patterns, including emotional eating, were erased. Many observed an initial up-heaval of emotions leveling out, then an experience of deep pervasive silence, emotional well being, and restful awareness. All participants remarked that they observed the gradual melting of destructive “holding patterns.” Patterns that had caused relationship issues, irritation, impatience, jealousy, attention need, worry and fear, simply disappeared. The up-heavel and removal of these “holding patterns” appeared to be the result of enlightened master Swami Nithyananda, who provided consistent “downloading”; a transference of his bio-memory to the participants. These “Holding Patterns” are recorded in the very bio-memory of the body. Many participants shared that they had not found a solution in traditional weight loss programs, medical consultations etc. 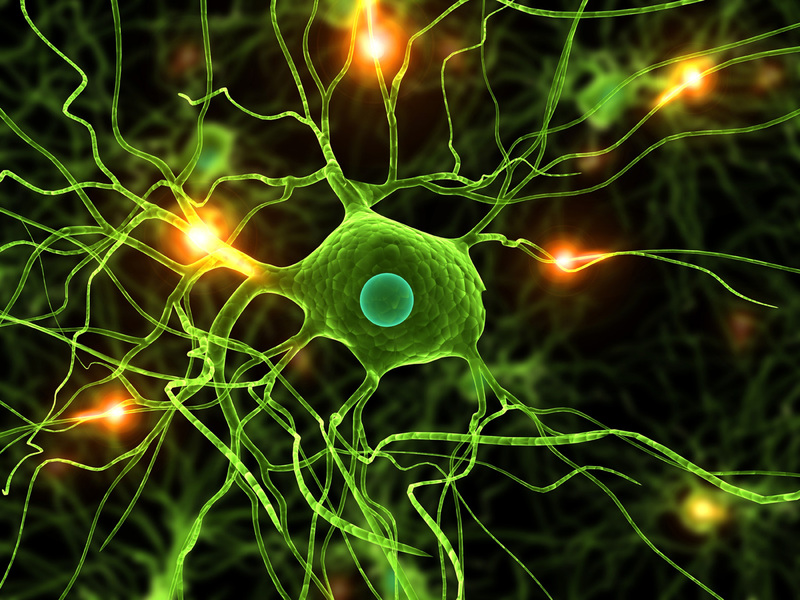 It appears that the root problems were buried deep within the cells in the body. The good news is that through “entanglement” with a higher functioning life-form, like Paramahamsa Nithyananda, a direct transfer can be made from his “bio-memory bank” into ours. The results are truly amazing! IN 27 countries 67 centers, the knowledge of THE Samyama is being shared with the world for free. These centers are sharing free food, the science of permanent weight loss, perfect health, and the science of life with Cellular Integrity. These centers provide support to all who want to live with a balanced weight, body, and mind. Swami Nithyananda is sharing the “Master’s Key” to help people to find the root patterns of their suffering and go beyond them. Millions of dollars are spent every year on weight loss, yet the weight is never gone for good. The depression returns, the emotional eating re-starts. It’s time for a wake-up call for a permanent, healthy body weight, and the bonus of perfect health.